Washington isn’t the only place where lawmakers love to spend money that isn’t theirs. The North Carolina legislature is currently working on its state budget for FY 2018-19. On Monday, Civitas posted an article about the current budget proposal. Please follow the link above to read the entire article. It includes a specific list of the earmarks in question. A special session of the North Carolina legislation was called to handle relief for the victims of Hurricane Matthew. While they were there, the legislators tackled a few other things (that probably should have been taken care of a long time ago). The liberal newspapers are having a cow. The Daily Haymaker, a conservative but honest newspaper, explains what is going on. The Daily Haymaker posted an article today about HB17, a bill introduced to reform some areas of the North Carolina government. Please follow the link above to read the entire article–it explains the hysteria of the left and the content of the bill. The state board of Education gets rolled under the auspices of the Department of Public Instruction — which, not coincidentally, just got its first Republican superintendent, I think, EVER. The argument here? If you’re elected to oversee public education in North Carolina — the whole enchilada should be dropped in your lap. The only fingers that can be pointed, if you are the DPI superintendent, are AT YOU. The legislation tightens the General Assembly’s control over the state board of education, as well. …House and Senate leaders become more significant players in the selection of a replacement in the event there is a vacancy in the office of governor or in any other Council of State position. ALL personnel shifts — regarding exempt positions — in executive branch agencies have to be run past House and Senate leadership for approval. The state board of education, under the leadership of the DPI superintendent, is transformed away from an advisory and more into a pure governing board. It will be the sole governing authority for the state schools for the blind and the deaf. There is more to this, but these are a few of the highlights. Please follow the link above to read the entire article. Yesterday’s childish display by the left disrupted the business of the people and caused some to be removed in cuffs. They chanted “All power comes from the people” but I don’t think they grasped their own words or the concept that it encompasses. The power of the people was collectively enforced on election day. A group of malcontent thugs who are likely paid and bussed in to disrupt the business of those who represent the people detracts from the ability of the peoples government to effectively do their jobs. The lies and distortions by the press are not only deplorable but dangerous to the furtherance of liberty. Nothing passed during this session is unusual or out of the norm. Press reports and Democrat rumors of court packing and such are ridiculous and not based in fact. However, if we did choose to expand the court we would be doing what the Democrats did a few years ago. The leftist media believe it’s ok when done by Democrats but that same act is wrong when done by Republicans. What hypocrisy! We returned to the General Assembly the responsibility to appoint trustees to the university system. This responsibility was relegated to the Governor years ago and we are returning this duty to the branch of government that the NC constitution states is responsible. This is not taking power from the Governor, it is restoring it to where it belongs. Other actions taken during this session help maintain jobs and continuity. 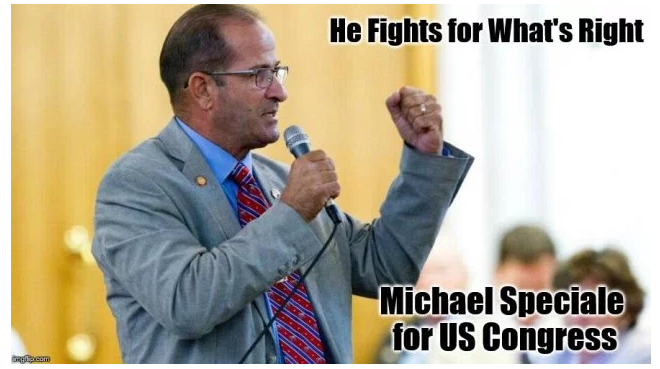 …Listening to the news this morning on WRAL i hear ‘NC Legislators receiving criticism from across the country for stripping power from the incoming Governor.” The fact that we are receiving criticism from across the country means that the left is continuing to attempt to pressure NC to fall in line with their liberal agenda, and that will not happen! If you don’t live here in NC, then I don’t care what you think! It is also indicative of the complicity of the local press to the leftist agenda! The newspapers (as usual) are not telling us the entire story.